instrumentation of patients with severe arteriosclerosis. Most commonly, aortic plaques are complicated with ulceration and often adherent fibrin, A. Portions of plaques are dislodged and travel distally in the aorta. 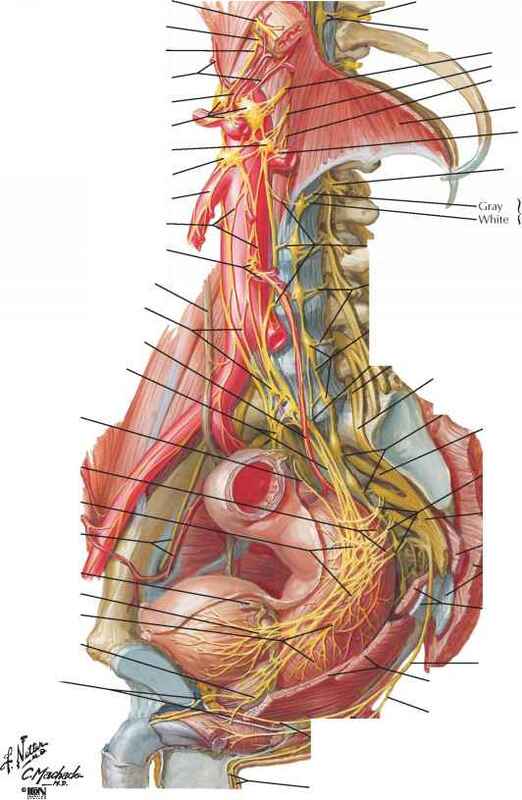 Because the kidneys receive a disproportionately large share of the cardiac output, they are a favored site of emboli. Typically, the emboli are in small arteries and arterioles, although glomerular involvement with a few cholesterol crystals in capillaries is not uncommon. Because of the size of the crystals, it is sometimes difficult if not impossible to identify them in glomerular capillaries in paraffin-embedded sections. In plastic-embedded sections prepared for electron microscopy, however, the crystals are quite easy to detect. On light microscopy, cholesterol is represented by empty crystalline spaces. In the early stages of the disease the crystals lie free in the vascular lumina. In time, the crystals are engulfed by multinucle-ated foreign body giant cells. 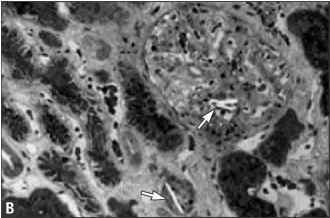 B, In this light microscopic photograph, a few crystals are evident in the glomerular capillary lumina and in an arteriole (arrows). C, In the electron micrograph the elongated empty space represents dissolved cholesterol. Note that no cellular reaction is evident.